So what exactly does it mean to harden off vegetable plants? Whether you grow vegetable plants from seed, or purchase flats from a nursery, it is vital to prepare them for life outdoors. This process of getting plants “ready” is called hardening off. Hardening off vegetable transplants is one of the most often overlooked parts of gardening. And yet, it can be the difference between sweet success, and total failure. Up until the time vegetable transplants go in the ground, they have been coddled. Whether in a nursery, home and garden store, in your house, or on your back porch, they have been sheltered in some way from the perils of the great outdoors. There is no wind, no rain, and no big swing in temperatures. There is no worry of overnight frost. No worry of the hot, scorching, afternoon sun burning their tender leaves. Transplants, up to this point, have also had perfect watering. That is, as long as you, or the folks working at the store have been diligent about keeping their water supplied on a regular basis. 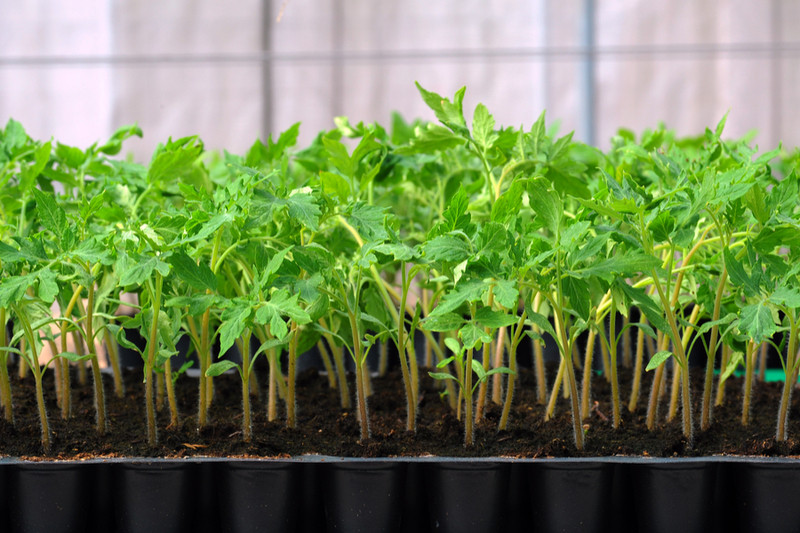 In reality, up to this point, tomato, pepper, and other vegetable transplants are nothing more than spoiled seedlings. But that all changes on transplant day. And it is exactly why they need to be prepared long before that big day comes. Plants need time to adjust to the sunlight, wind, and temperature swings of the great outdoors. And that adjustment time all depends on whether you have raised your own seedlings, or purchased them at a greenhouse. Plants in a greenhouse are protected from natures fury. The process of hardening off home-grown transplants should start 2 to 3 weeks before planting day. Home raised vegetable transplants are usually the most coddled of all. They are normally not quite as far along as store-bought versions. Some of this comes from being raised in natural light. Plants raised at home can be a bit more spindly or leggy, unlike transplants grown in big greenhouses with controlled lighting. A bit more natural outdoor “adjusting” time for home-raised plants can go a long way toward success. Begin by setting plants out on during warmer afternoons in a protected area. Porches are perfect for this, as are areas near the house that are protected. Continue to let transplants get more time outside each day. With a week or so to go before planting day, only move them indoors if the temperatures approach frost, or brisk winds or heavy rains are forecast. A few days before the big day, plants should be able to be left out entirely. For store-bought plants, the process is a bit less intense, but still important. These plants usually are further along in their growth process, but have still been inside for their entire life. Take a few days after purchasing to set them outside on a porch or protected area to let them adjust. That is unless you are purchasing plants at the very last stage of spring, when stores move plants outdoors full-time sell. Do you have a great gardening tip? Or perhaps you would like to share a few pictures and a story about your own personal paradise? How To Store and Grow Beets – The Super Healthy Vegetable! August 8, 2018 TIMG Comments Off on Planting Fall Onions – How To Plant For A Great Harvest Next Year! Composting Leaves – How To Make Incredible Compost This Fall! October 6, 2018 TIMG Comments Off on Composting Leaves – How To Make Incredible Compost This Fall!